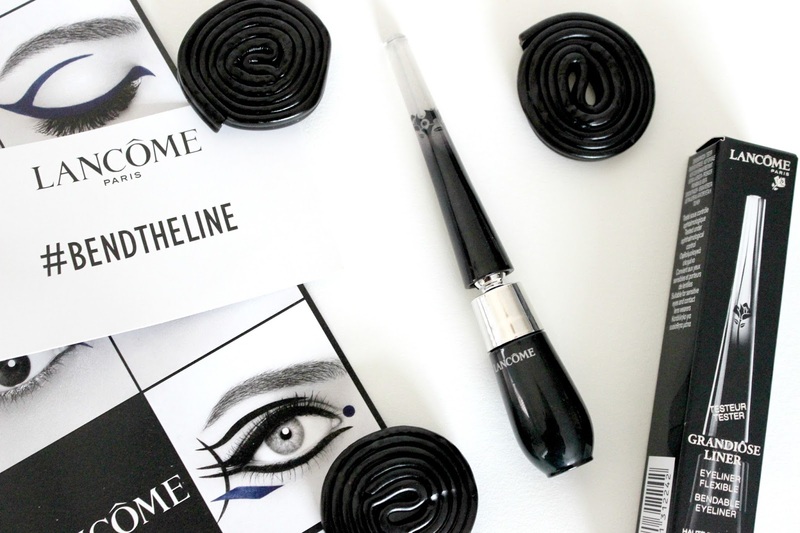 The New Grandiôse Liner from Lancôme is here with it's new hinged 35 degree bendable handle. Making application a lot easier as the brush just flows with the natural contour of the eye. Lisa Eldridge worked very closely on the design of this product. The 35 degree angle has been designed to help you create the perfect angle and application for when you're applying your eyeliner, which will help you create the perfect flick. Finally an eyeliner that gives you some flexibility. We all know Lancôme is popular make up brand that has a lot of ratings when it comes to eye make up, especially the Grandiose Mascara. So I had high hopes when I received this product. The eyeliner comes in three different shades; Noir Mirifique, Brun Mirifique and Saphir Mirifique (black, brown and navy) which are all matte. The colour I received was Noir Mirifique which is a matte black. 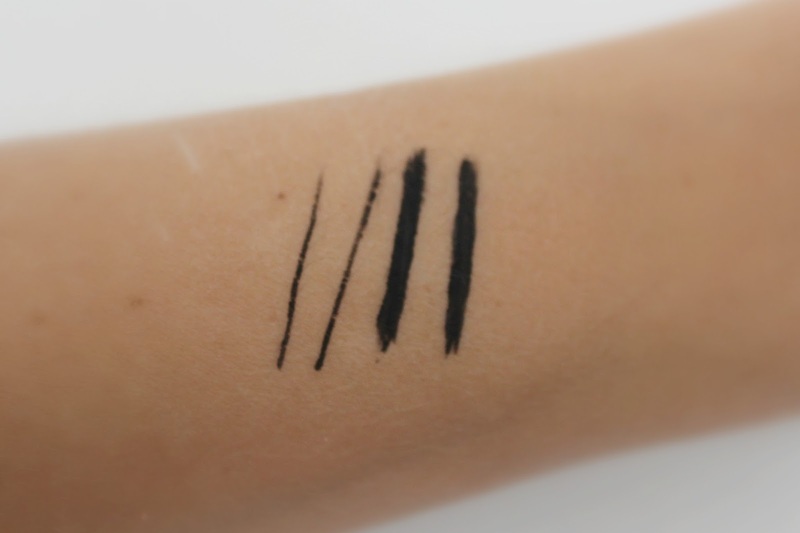 I absolutely love the pigment of this eyeliner, its blacker than black. This eyeliner is really good for getting close to the lash line, it just takes a steady hand to make sure you get a perfect line with no wobbly bits as the tip is so fine. As you can see in the picture below. Saying that though... I did the best eyeliner I've ever done yesterday. You know when it's that good that you don't want to wash it off? Yep one of those days! I applied the eyeliner at around 8am and it was still in the same place at 10.30pm last night. The colour hadn't faded and I had no smudges. I really like this eyeliner and I'll definitely continue to use it. 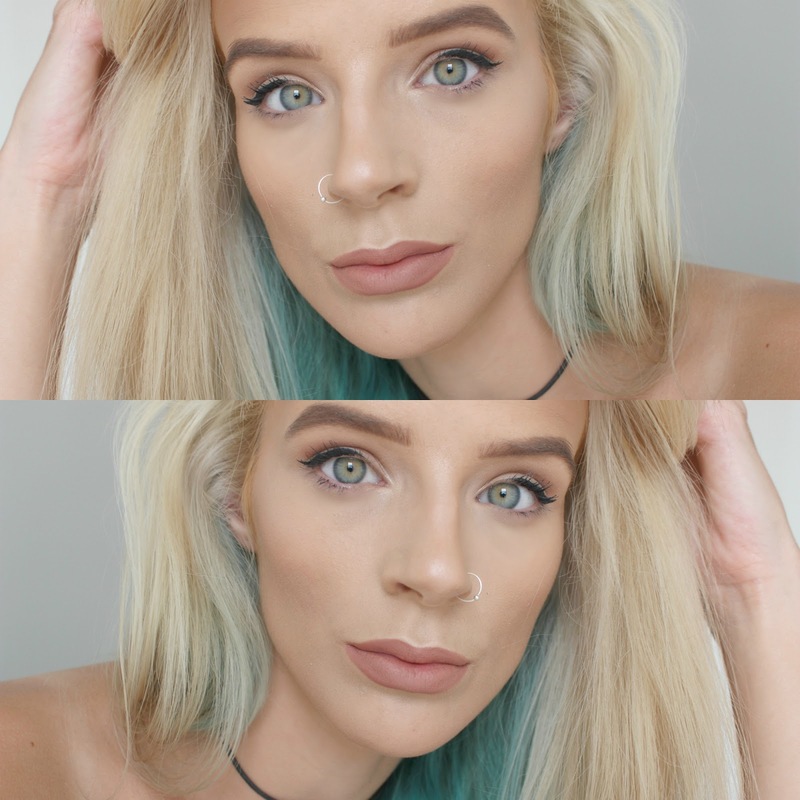 Here is a look that I created along with my every day make up routine. Overall I really liked this product, but you do have to work quick with the eyeliner as the product seems to dry/set really quick, which I don't mind at all as the eyeliner stays put on the eye and doesn't loose any pigmentation throughout the day as stated above. The eyeliner has become a part of my daily routine and I'm loving it! 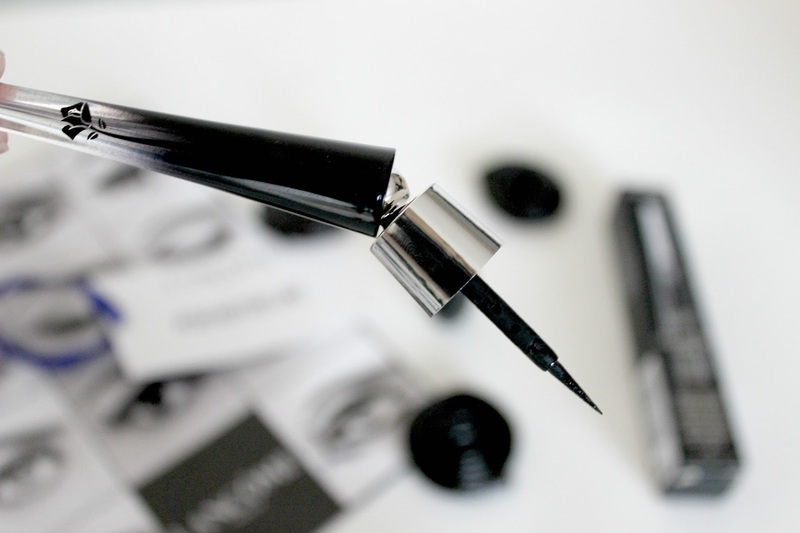 Have you tried this eyeliner yet? What did you think if so?